Please learn all the information about this exciting program by downloading the P2A Journey Information here. Submit the Application Form along with the supporting documents required to International Office Room 331, Anggrek Campus or via email to vpanna@binus.edu no later than the deadline announced. Please make sure that you have completed the entire fields on the application form otherwise we could not process it. Should you need further information, feel free to contact us via email to vpanna@binus.edu or visit us within consultation hours (Monday – Friday, 1 – 5 PM). Make the payment upon confirmation of registration. Payment information will follow later. 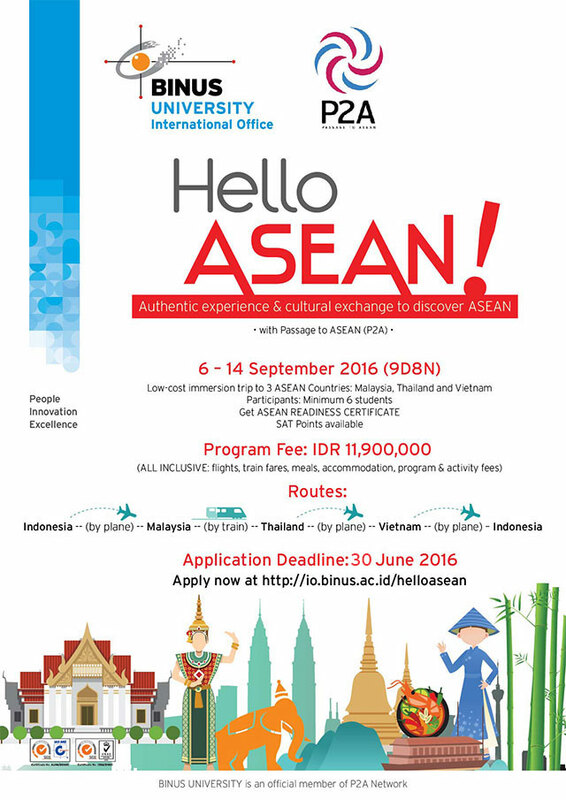 Let's Join P2A Journey at Mahasarakham University, Thailand! Open Application : Be an i-Buddy!